Let’s be frank, we were all a little wary of tablet PCs when they first emerged as “laptop replacements.” Clearly, they had nothing on traditional computers in terms of power and productivity, merely standing out with compact form factors and, iPads notwithstanding, affordability. Only even the latter forte didn’t seem enough to make a stand against equally as cheap netbooks. Somehow, tabs took off nonetheless, bringing the demise of mini-notebooks and, for a few years, enjoying a swift popularity rise. Now, the market is in a bit of a slump as conventional PCs show signs of resurgence, so it’s innovate or throw in the towel for OEMs like Samsung, LG, Asus, Lenovo, Amazon, Microsoft and even Apple. The struggling industry segment’s saving grace could well be keyboard accessories, given there’s virtually no way to further cut prices. 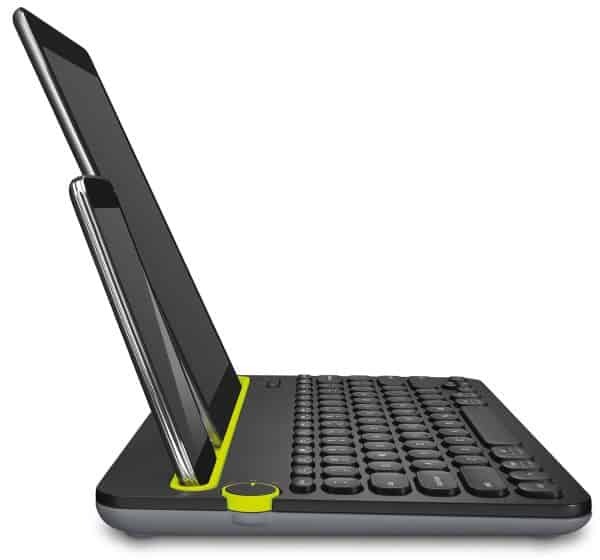 The Jelly Come B047 is another really nice keyboard for Android tablets and phones alike. It can fold up and be thrown in the backpack for later use, or can fit in your pocket. A single charge will only get you about two hours of use here, which is plenty for a quick study sessions at the coffee shop. The keys feel very nice — with little travel, you don’t have to worry about your hands cramping up. They provide some very nice tactile feedback as well. Last, but certainly not least, we have the Jelly Comb BK230. 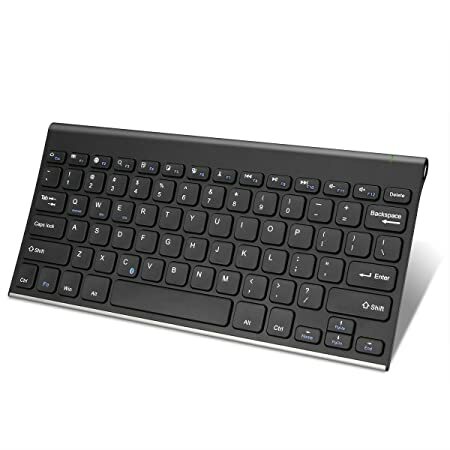 It might not have the most attractive name, but this is a dual-channel multi-device Bluetooth keyboard. 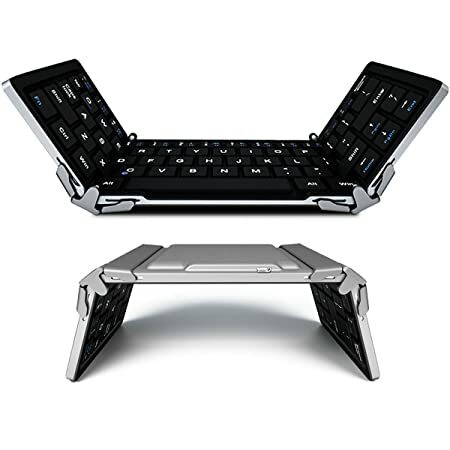 It’s a full-size keyboard, and isn’t foldable.The full size is nice, as it is easier on the hands in terms of ergonomics. 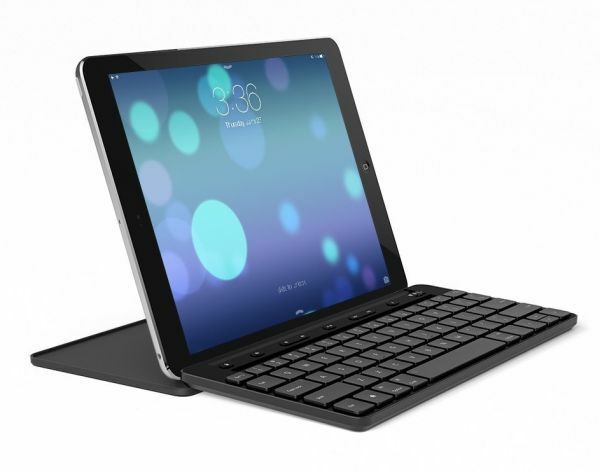 The neat thing about this keyboard is indeed the multi device function, allowing two devices to be connected up to this keyboard at once, such as an Android tablet and phone. Place your two devices in the stand of those keyboard, and you can quickly switch between the phone or device that you want to use in the moment. 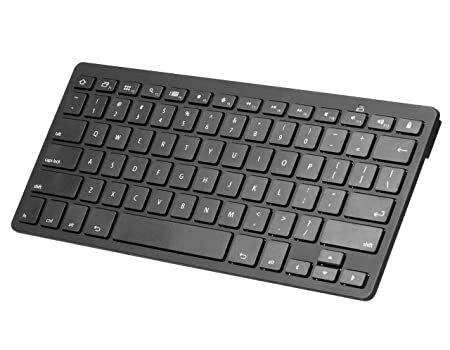 Back in the day up for grabs at a whopping 60 bucks, the Anker Ultra Compact is, well, tiny, taking up “two thirds the space of a traditional keyboard.” Again, both a forte and weakness, as cramped space limits functionality. Meanwhile, the 18-month warranty is sure a nice touch, and the rechargeable 800 mAh lithium battery promises up to 6-month autonomy based on 2 hours of daily use. Not too shabby… for 20 clams. Big, clean, straightforward, quick and quiet, the all-black AmazonBasics peripheral works with all Android 3.0+ devices, not just Kindle Fires. 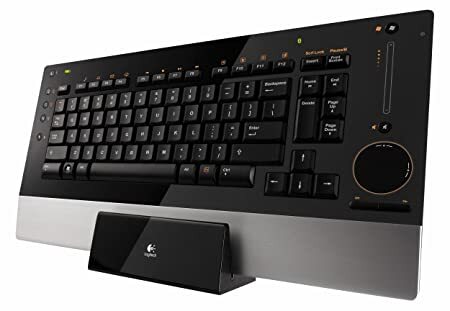 The 30 foot range is impressive, and the glowing reviews praise the speedy connection, responsiveness, accuracy and convenience of the Bluetooth keyboard. Sounds like a must-buy, unless you can afford one of the following. It’s portable, it’s foldable, ergonomic and versatile, squeezing right into your trouser pocket if you need it to. Of course, it’s congested too, so professional typists should look elsewhere for their business travel requirements. What’s truly remarkable about the second Jelly Comb item on our list is the aircraft-grade aluminum construction, ensuring “superior rigidity” and stellar endurance despite the foldable design. 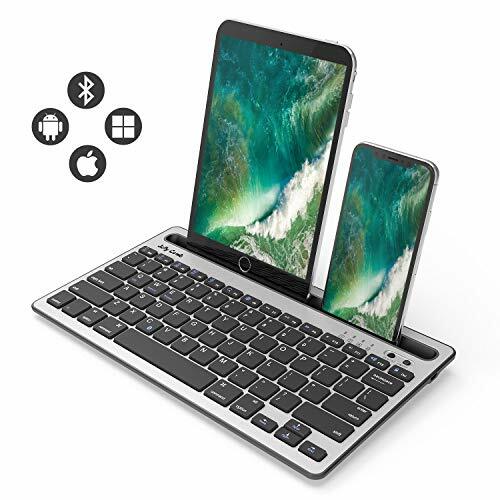 In the market for a handsome, vigorous “full-sized” keyboard you can easily pair with your desktop, smartphone and tablet? 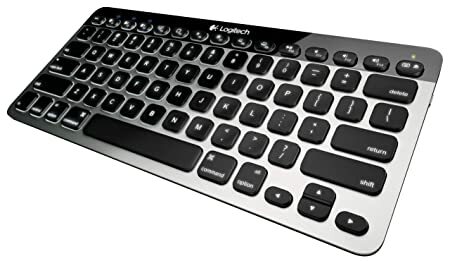 You can’t go wrong with Logitech’s Windows, Mac, Android and iOS-compatible K480. 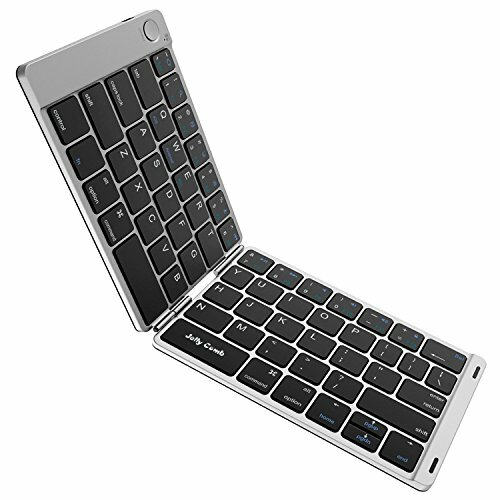 This thing lets you seamlessly switch between three simultaneously connected Bluetooth wireless gadgets, offers a “familiar” layout with all the shortcut keys you’ve grown accustomed to use, and doesn’t require a third-party stand to hold your tab at the perfect angle for typing and reading. It might feel weird to mate a Redmond concoction with an Android, but one look at this keyboard, and you’ll realize it’s the best in its class. It’s large but not bulky, ergonomic yet not flimsy, lasts up to six months on a single charge and provides a detachable multi-purpose cover/stand. It’s more than a peripheral, it’s a device-changing accessory. Fashioned for “seamless integration” with Amazon’s newest Fire HDX 8.9, it also supports the Fire HD 6 and 7 and “other Kindle Fire HD and HDX tablets.” But that’s it. No full-scale Android compatibility here. 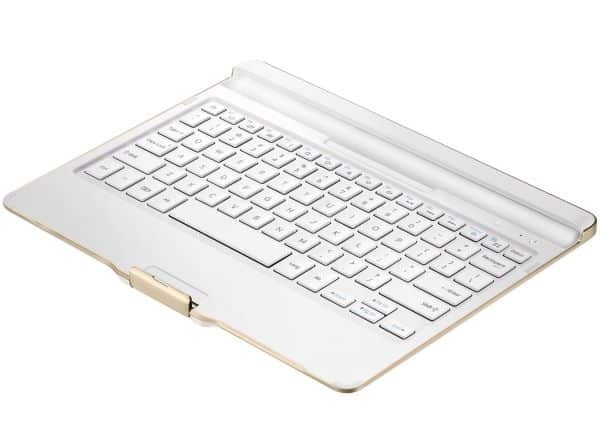 The ample touchpad, 4.8 mm wasp waist, various shortcut keys and 2-month “active use” battery are only some of this keyboard’s strong suits. If you really want to get the most of your Fire HDX 8.9 experience though, you’ll have to purchase the $70 leather origami case too. Elegant, protective and stunningly versatile, the case and keyboard go together beautifully and transform your standard 8.9-inch tab in something that transcends mobile and desktop boundaries. Yes, it’s costly, even after a substantial discount, but it’s surely worth it if you want to convert one of Sammy’s “professional” 12 inchers into a bona fide hybrid laptop. Rated at 4.5 stars by 72 mostly satisfied customers, the keyboard doubles as a shielding case and works like a charm for flawless on-the-go typing. 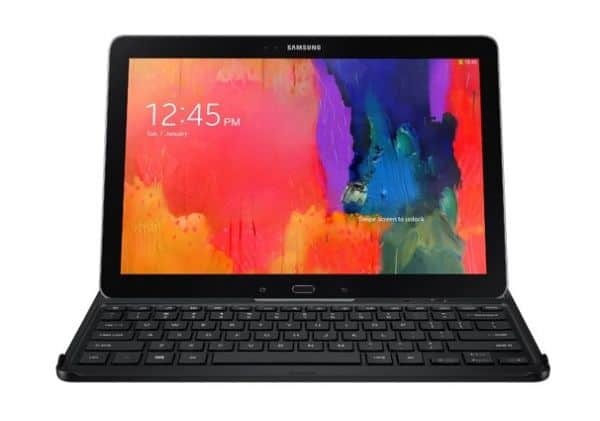 Possibly the best ever Samsung tablet deserved a matching premium 2-in-1 accessory, and that’s exactly what it got. There’s no trackpad here, so you won’t fool anyone into believing you own an actual notebook. But the keys are exquisitely well-spaced, quick to react, decently robust and the battery lasts for ages. 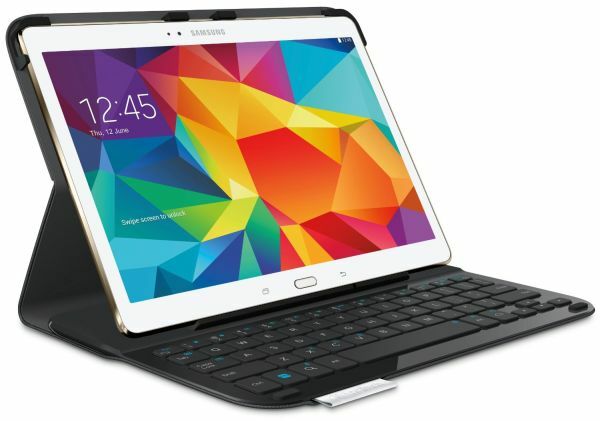 Not content with Samsung’s proprietary Tab S 10.5 proposal for some reason? 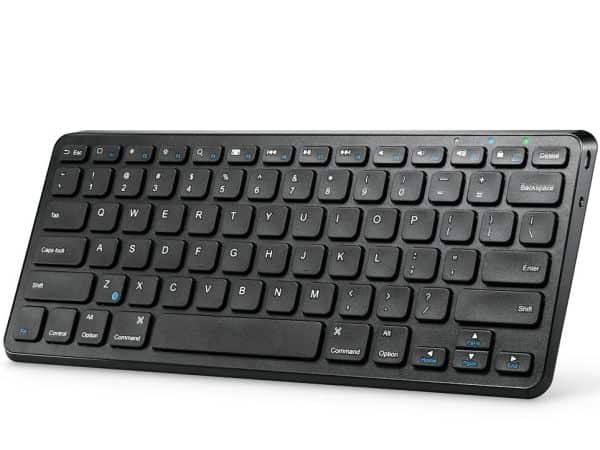 This 2-in-1 case/keyboard from Logitech used to cost $100, and for all the right reasons. It aims to guard your beautiful Super AMOLED gadget from accidental bumps, scratches and spills while offering “laptop-like typing” on a standard keyboard layout with Android shortcuts added in the equation. Tough call, huh? 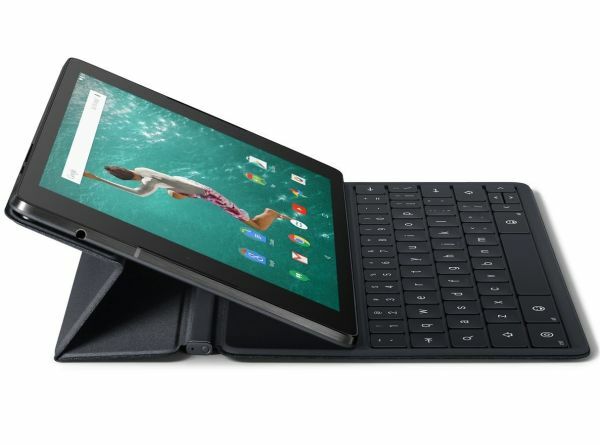 Hesitant to spend over a third of the top-notch Google tab’s price on a rudimentary “keyboard folio”? Well, that’s where you’re wrong. The multipurpose accessory is as versatile as these things come, not to mention stylish, light, slim and uber-productive in keyboard mode. We know, we know, you’d have loved a touchpad, a little room between keys and, above all, a $30 or so price trim. 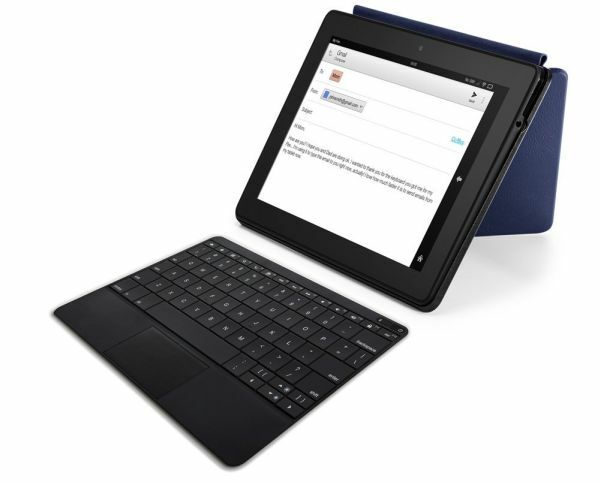 But trust us when we tell you no universal keyboard will ever compliment the N9 as this does.